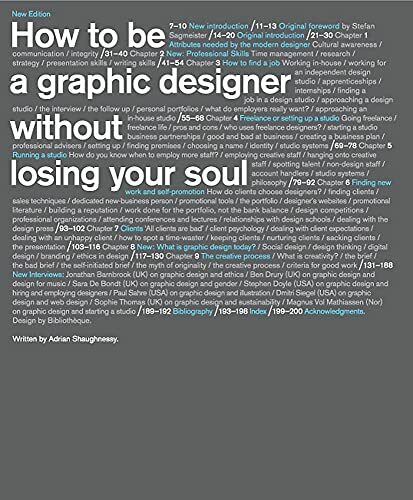 Suitable for independent-minded graphic designers, this title addresses the concerns of young designers who want to earn a living by doing expressive and meaningful work and avoid becoming a hired drone working on soulless projects. It offers advice on how to establish your design career and suggestions for running a successful business. Graphic designers constantly complain that there is no career manual to guide them through the profession. Design consultant and writer Adrian Shaughnessy draws on a wealth of experience to provide just such a handbook. Aimed at the independent-minded, it addresses the concerns of young designers who want to earn a living by doing expressive and meaningful work and avoid becoming a hired drone working on soulless projects. It offers straight-talking advice on how to establish your design career and suggestions - that you won't have been taught at college - for running a successful business. This revised, extended edition includes all-new chapters covering professional skills, the creative process, and global trends, including green issues, ethics and the rise of digital culture. The book contains all-new imagery, and the previous interviews have been replaced with new ones, each focusing on a specific issue of importance to graphic designers.